Xiaomi is a private Chinese company. The main office of Xiaomi is in Beijing China. Xiaomi is one of the largest electronics manufacturing companies. Its main field of activity is the design, development and sale of smart phones, mobile applications and consumer electronics. The term "Xiaomi" in Chinese means little rice. 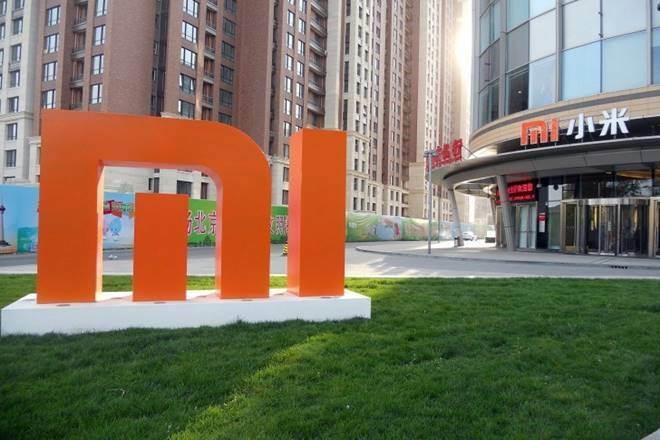 The Xiaomi brand is not long ago, indicating that Xiaomi introduced its first smartphone in the Chinese market in 2011. Today, the Ziaomi phone has a large share of the Chinese market and a good market share. The founder is Xiaomi Lee Jun. According to Forbes, Lee Jun is ranked 23th in the list of China's richest men. Xiaomi also produces smart TVs in addition to the handset. The MUI interface on Android is also one of the products of this Chinese company that uses this interface on its handsets. The Xiaomi MiPad tablet is also the only tablet to be released by the company. The company has hired more than 3000 employees, mainly in China, Malaysia, Singapore, and expanded to other countries such as India and Indonesia. In addition to lowering the price of the handset, Xiaomi also implemented a different strategy in 2014. This year, the Android Store launched its own dedicated store, which the store could achieve in the early months. App Store Chaim is currently only providing Chinese users with services, and now, on average, about 20 million apps and games are downloaded from this store on a daily basis. In November 2014, Xiaomi launched a special event dedicated to 10 billion downloads from its dedicated App Store. The turnover of developers active in the project is about $ 60 billion. Xiaomi made his first smart bracelet in 2014. The smart bracelet, which was designed based on health and medical care programs, sold one million units three months after the start of the sale. Sleep quality monitoring, accelerometer sensor, Bluetooth connectivity, alarms, and water resistance are the features and characteristics of this wrist strap. The basis of Shiaomi's operations is on smart phones. The first mobile phone was the Xiaomi Mi 1S. The Xiaomi mobile phone sales strategy differs from other companies. The company uses the sale strategy of selling Flash Sale. According to this strategy, a mobile phone or any specific product at a lower price, usually one day, will be sold on the website, which will be priced at a discounted price for the Xiaomi smartphone. Xiaomi, using this method of selling, has succeeded well in the tablet and mobile market. Xiaomi Mi Note Pro is one of the best in Xiaomi smartphone. This Ziaomi mobile phone is not only one of the best smartphones in the world, but one of the best smartphones in the world. Xiaomi's focus is on increasing production returns, lowering costs, and increasing productivity. With this strategy, the price of the Xiaomi smartphone is extremely affordable. Buying a Xiaomi smartphone is one of the solutions that you will not regret if you do. Xiaomi mobile phones have been on the market for a number of years and are of great quality. The price of the Xiaomi smartphone is very suitable for its features. To buy Xiaomi tablets and tablets in Iran, perhaps the main issue is access to these products. The Xiaomi phone is not as abundant as the other brands in the Iranian market. Another issue that comes with the purchase of Xiaomi mobile phones is that in China, the Chinese product is also considered to be a non-quality item! If this is not the case with the Xiaomi smartphone. Everour is the leading manufacturer of electronics and digital manufacturing in China. In the case of Xiaomi, the issue is different, because the company itself is originally Chinese. But anyway, one of the best options for buying a mobile phone and buying a tablet is the Xiaomi brand.